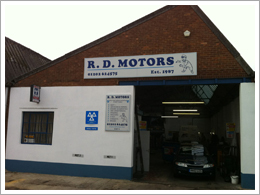 RD Motors has been established since 1987 by Roy Dean, providing an honest and friendly service at reasonable rates. Roy is now in partnership with his son Graham who joined the company in 1999. They work alongside 2 fully skilled mechanics and an apprentice. 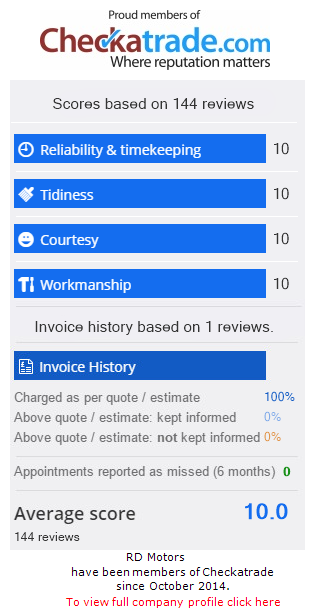 They have 3 service and repair bays as well as the class IV MOT bay. Vast range of specialised tools and equipment.